Physical activity like running or jogging can provide many healthful benefits. It can help control your weight, deal with stress and better manage your blood pressure and cholesterol levels. 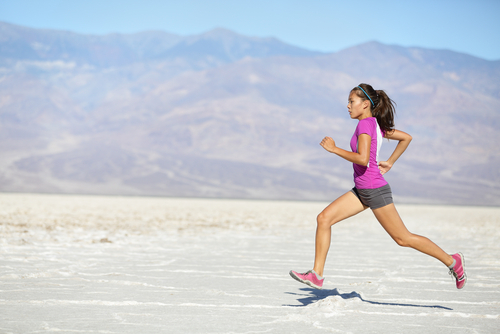 But a recent study indicates that too much running may also detrimental. It has been linked to shorter life spans. Researchers from the Cardiovascular Research Institute, Lehigh Valley Health Network in Allentown, Pa. analyzed data of more than 3,800 male and female runners with an average age of 46 years old. The data of the participants were part of the Masters Running Study, a web-based study that involved the training and health information on runners from 35 years old and above. About 70 percent of the runners reported running more than 20 miles every week. The runners also supplied information regarding their use of common painkillers called NSAID’s or non-steroidal anti-inflammatory medications such as ibuprofen and naproxen, which has been associated with heart problems. The participants also reported aspirin use, which is known to protect the heart. The runners also provided information regarding heart risk factors such as high cholesterol, high blood pressure, diabetes and family history of heart disease and smoking. The researchers suggested that high-mileage runners showed a shorter lifespan on average compared to moderate runners. A moderate running regimen is about two to three hours of running per week. Further study may be needed to explain why too much running can result into a shorter lifespan. For the meantime, the researchers advise getting into running from a slow to moderate pace two to three times a week for one to two hours to enjoy the health benefits. But be careful not to overdo it to avoid the reversal of the health benefits that running can provide.